I have titanium plates in my neck which I am constantly aware of. After one session of drumming and concentrating the vibration of the drum into my pain, it completely disappeared. I have been totally unaware of my neck problems ever since. Since time immemorial, the drum has been used as a vehicle that is integral to healing rituals by custodians of the world’s most ancient civilisations. In many tribes throughout Africa, for instance, drums have long been used in healing ceremonies. Essentially, crafted drum rhythms act as ‘valves’, relieving blockages to the vital physical energy flow of their participants that are caused by irregular rhythms or emotional disturbances. For example, in Mali the Bambara tribe use particular rhythms to draw spirit bodies into the company of participants who are entranced by the music, in order to reveal the deepest origin of their dis-ease, and to exorcise it. Drumming has gradually been recognised in the West for its far-reaching therapeutic effects, and applied in many contexts as a complement to other healing modalities. Engaging with rhythmic energy and the vibrations of the drum is a means of returning to the natural rhythm of the heart, and of allowing the drummer the opportunity to self re-integrate. In a space where verbal modes of communication are subordinated, the drums speak, and participants experience an authentic return to their individual power and to their bodies. This process empowers the individual’s healing journey, allowing them to activate the process of restoring physical and emotional harmony. 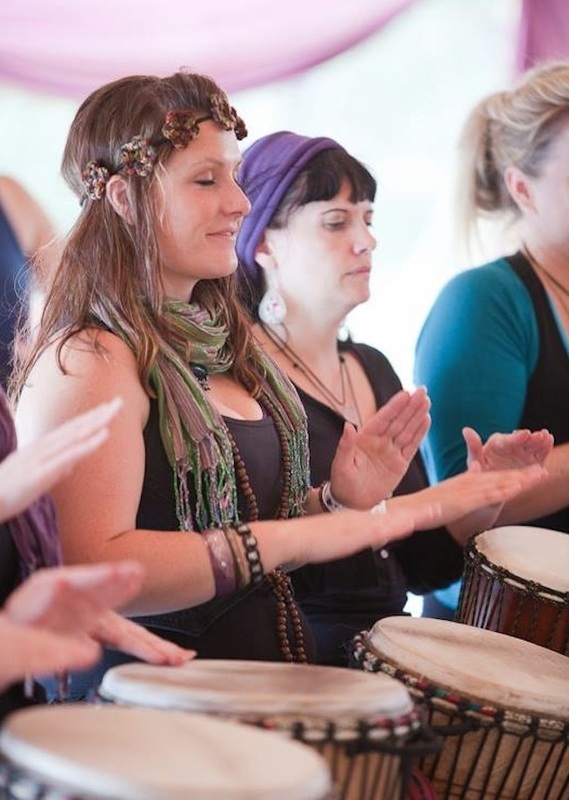 By communicating with the non-verbal and universal language of the drum, souls connected within a drum circle experience an authentic re-cognition of self, which is integral to the healing process. Through the repetitive beating of a drum, they have the means to deeply connect with their own spirit, and to be engaged with it in an environment of interpersonal support. The act of participating in a drum circle may thus alleviate self-centredness, as well as feelings of isolation and alienation.